Sometimes the best wildlife encounters are the ones you least expect. A rather uneventful live-stream video of a stadium under construction took a surprisingly entertaining turn this week. 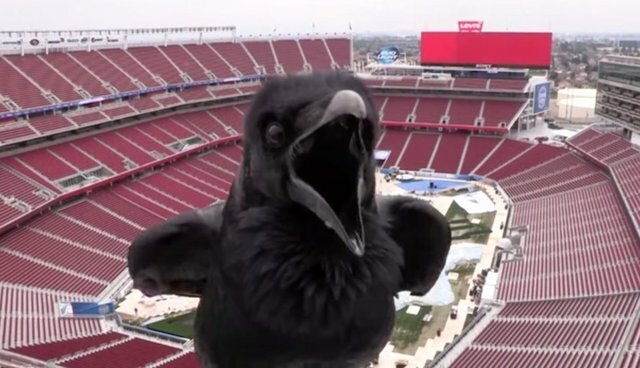 For a few brief but engrossing moments, a curious raven who evidently discovered the webcam stopped by to put on a show of his own. After gazing into the camera a while, the pitch black bird appears to let out a few boisterous "caws." Unfortunately, the raven disappears as quickly as he came when the camera moves, perhaps to be seen again nevermore.